If you’re on Pinterest, you’ve seen this project before. But I still have to share this cheap, easy project with you. I bought six tiles for 16 cents each at Home Depot. 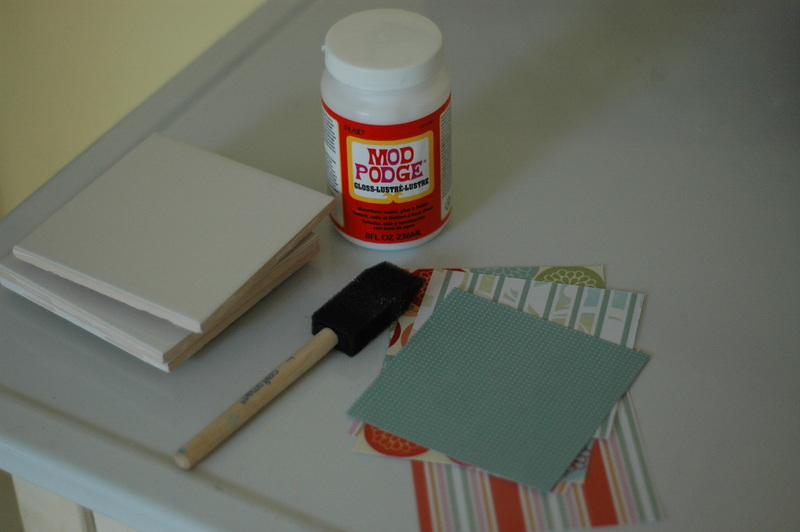 Then all it took was a few paper squares and mod podge to make these little coasters. OH, and I also bought some little felt circles for the bottoms. 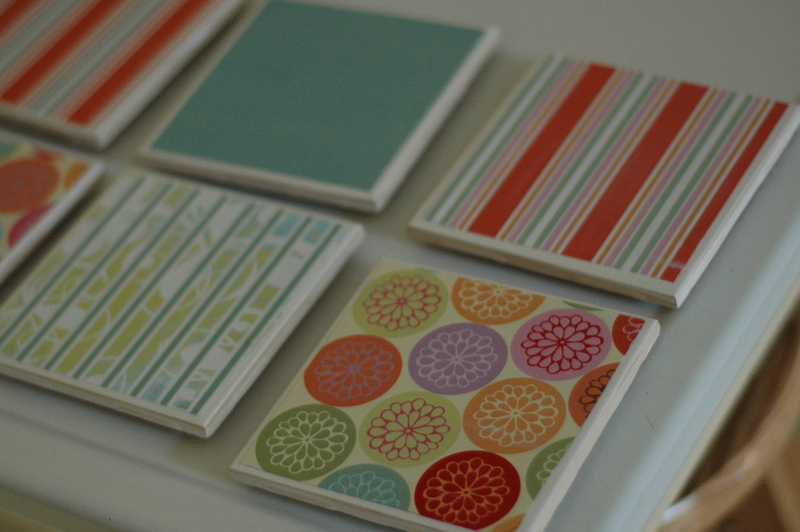 And here is how quickly you have some pretty little coasters!